What can be said about St. Louis sports? Whether it be the Cardinals, Rams, Blues, or even lesser known teams such as the Ambush, Grizzlies, or Attack, there is a rich tradition of sports in the Gateway City, even though teams such as the Spirits and (NFL) Cardinals didn’t perform well during their history. But as in most cities, sports teams do more than make money, and fill in seats in arenas and stadiums. They bring a city together. There are the St. Louis Blues, who joined the NHL as an expansion team in 1967. Immediately, they made three straight Stanley Cup Finals’ appearances, but came up short each time. Since 1970, they have not made the Stanley Cup, despite being a frequent playoff team. Despite the lack of a Stanley Cup title in St. Louis, the majority of Blues fans still have strong loyalty towards their team, and the ScottTrade Center still houses packed crowds whenever a home game is played. Why? Because fans still believe in the franchise. There’s that strong belief that the title drought will end sooner rather than later, and more people are becoming excited about the hockey team St. Louis has. Then, there are the St. Louis Rams, definitely the team in the city with the most attention the past few months. For a controversial issue. The issue revolves around Rams owner Stan Kroenke wanting to move the Rams to Los Angeles, while efforts have been made to keep the Rams here in St. Louis, as the city has presented their own stadium proposal, which is anticipated to seat over 68,000 people, and the plan also intends to have it be an open-air stadium by the riverfront. However, there is more to trying to prevent the Rams leaving St. Louis than just keeping a football team in the city. The Rams are more than just a football team. In 2014, the Rams donated more than 25,000 items to local non-profits (including my golf tourn. to benefit ECH) to benefit local charities. Karraker makes a strong point. Even if the Rams “on the field” have struggled for the past decade, the Rams “off the field” still devote valuable time for various causes and charities, and the mascot, Rampage, makes appearances at events that the Rams as a team don’t. Without the Rams, and without a football team in general, all of that goes away. Kroenke has already cancelled FanFest, one of the largest preseason events the Rams have on a yearly basis. Interacting with fans and creating a bond is one of the most important aspects a team should focus on (when it comes to off-field activities). The opinions of some cannot define the opinions of everyone, but keeping the Rams in St. Louis would be a major benefit to the city in more ways than one. Finally, you have the St. Louis Cardinals. The first team that comes to everyone’s mind when they think about St. Louis. People nationwide have proclaimed “St. Louis is a baseball town” and who is to say they are wrong? 11 World Series titles, 19 National League Pennants, and 12 Division Titles, make the Cardinals not only one of the best teams in baseball, but one of the best in all of sports. As for the list of legends, it could go on for a long time: From Roger Hornsby to Joe Medwick, Red Schoendienst to Stan Musial, Bob Gibson to Lou Brock, Ozzie Smith, Bruce Sutter, Whitey Herzog, Willie McGee, it’s amazing how long the list goes on. Busch Stadium averages over 3,000,000 fans yearly, making Cardinal Nation one of the most consistent fan-bases when it comes to attendance figures. All three of the main sports in St. Louis have had their memorable moments that are entrenched in history forever. From the Blues’ 3-OT victory over the Blackhawks last year in St. Louis during the playoffs, to the “Greatest Show on Turf”, and to the long list of Cardinals’ moments, most recently the remarkable 2011 season, and more specifically, Game 6 of the World Series. 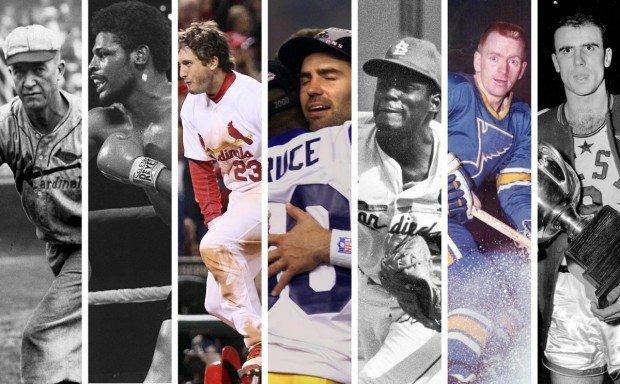 What does it truly mean to be a St. Louis sports fan? Cardinals win their 30th game of the year!